The Book Industry Charitable Foundation (Binc) is a 501(c) (3) non-profit dedicated to assisting booksellers in need since 1996. Booksellers who have a demonstrated financial need arising from severe hardship and/or emergency circumstances are eligible to apply for assistance. In 2010, the Foundation provided tax-free grants to 101 booksellers and their families. To learn more about the assistance the Binc Foundation provides, or to apply for aid, go to Who We Help. Binc is the sucessor to ABA's Bookseller Relief Fund, which was established in 2005 to help meet the humanitarian needs of booksellers affected by disasters. The impetus for the fund's creation was the devastation that Hurricanes Katrina and Rita wrought upon the Gulf Coast. ABA seeded the fund with a $25,000 donation. Generous contributions were made by hundreds of booksellers, publishers, distributors, wholesalers, the regional booksellers associations, and others in the industry. Major donors included the Southeast Independent Booksellers Alliance and Independent Publishers Group ($25,000 each) as well as Holtzbrinck Publishers ($10,000). 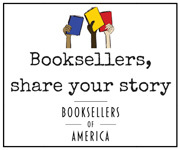 Many ABA member bookstores donated a portion of store sales during a special one-day event on October 1, 2005. In 2005, the BRF distributed more than $100,000 to booksellers in the Gulf Coast. In October, Phase One grants ($500 each) for immediate critical needs – food, housing, and transportation – were distributed to 50 bookstore owners and employees left jobless by the hurricanes. At year’s end, Phase Two resulted in $80,000 in distributions to the Gulf Coast booksellers most severely affected by Hurricane Katrina.